The Beatles are one of the biggest bands of all times and produced a string of memorable and catchy hits. The po pularity of their music has never waned, but which of the many songs they produced sold the most? For the Beatles’ highest seller, we have to go back to 1963. 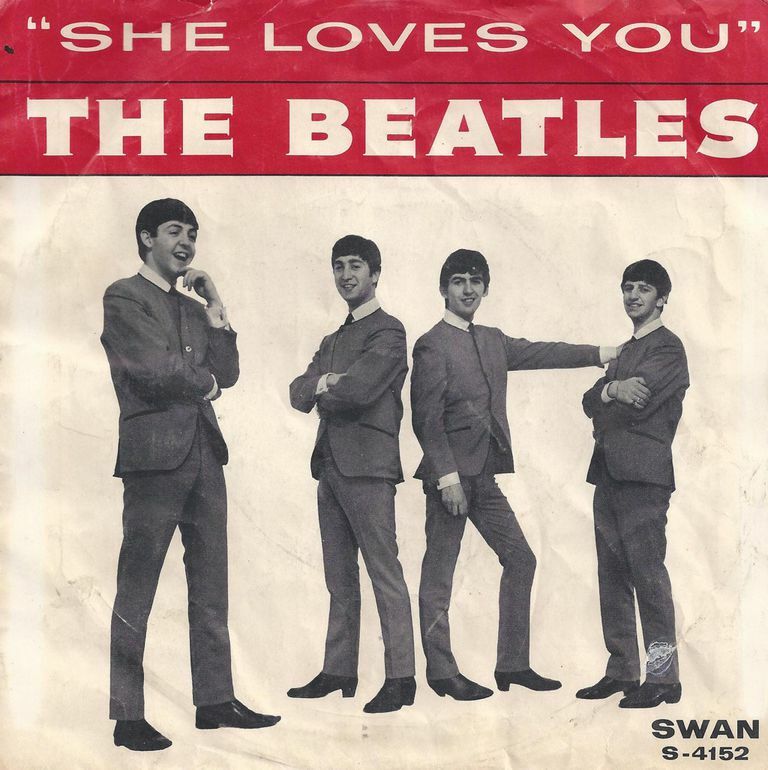 ‘She Loves You’ is the single that has sold the most copies since it was released. This catchy number was an instant hit in 1963 and the sales figures really do reflect that. The second best-selling Beatles’ single is ‘I Want to Hold Your Hand’ and this is followed by ‘Can’t Buy Me Love’. All three of these top sellers remain popular to this day. The official sales figures include a number of points of interest. The band’s first single to chart was ‘Love Me Do’ and it only reached number 17. However, it has sold more copies than the band’s next hit – ‘Please Please Me’ – which actually reached number 2 in the charts. It has also outsold a number of singles that reached number 1. One of the most famous tracks produced by the band is ‘Yesterday’ and one of the reasons for this is that many other artists have produced a cover version of this hit. However, on the list of best-selling Beatles’ singles, it only had only reached number 24. This sounds incredible, given the popularity of the song and it is even more incredible when you realize that the Beatles did not release this as a single until long after the band split up. In 1976 it was released and its highest chart position was number 8. The same year the band also released a version of ‘Strawberry Fields Forever’. Originally this was a double ‘A’ side and was released with ‘Penny Lane’ and the two together only got as far as number 2 in the charts.